This hotel was built in 1999. Located in Gaithersburg, Hampton Inn & Suites Washington DC North / Gaithersburg is in the suburbs, a 4-minute drive from Lake Forest Mall and 6 minutes from Montgomery County Agricultural Fairgrounds. 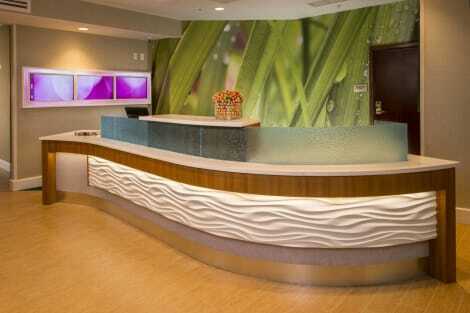 This hotel is 4.1 mi (6.7 km) from RIO Washingtonian Center and 6.8 mi (10.9 km) from Laytonsville Golf Course. Featured amenities include complimentary wired Internet access, a 24-hour business center, and express check-in. Planning an event in Gaithersburg? This hotel has facilities measuring 375 square feet (35 square meters), including a meeting room. Free self parking is available onsite. 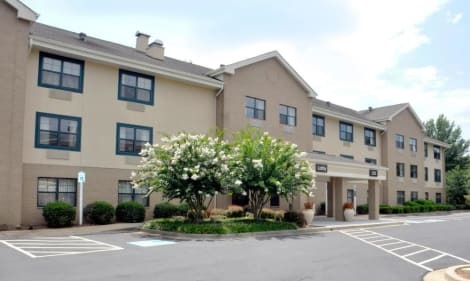 Located in Gaithersburg, Homewood Suites by Hilton Gaithersburg/ Washington, DC North is a 3-minute drive from Lake Forest Mall and 8 minutes from Montgomery County Agricultural Fairgrounds. This hotel is 14.2 mi (22.9 km) from Walter Reed National Military Medical Center and 4.5 mi (7.2 km) from RIO Washingtonian Center. lastminute.com has a fantastic range of hotels in Gaithersburg, with everything from cheap hotels to luxurious five star accommodation available. We like to live up to our last minute name so remember you can book any one of our excellent Gaithersburg hotels up until midnight and stay the same night.